Thingiverse recently updated its website and in the process broke my comment scraper. The flu kept me from focusing on a screen long enough to fix, but now it’s repaired. 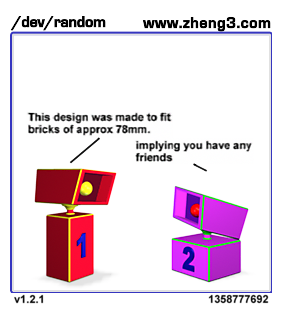 This entry was posted in /dev/random, troubleshooting and tagged nerd humor, oop, python, robots on January 23, 2013 by zheng3.